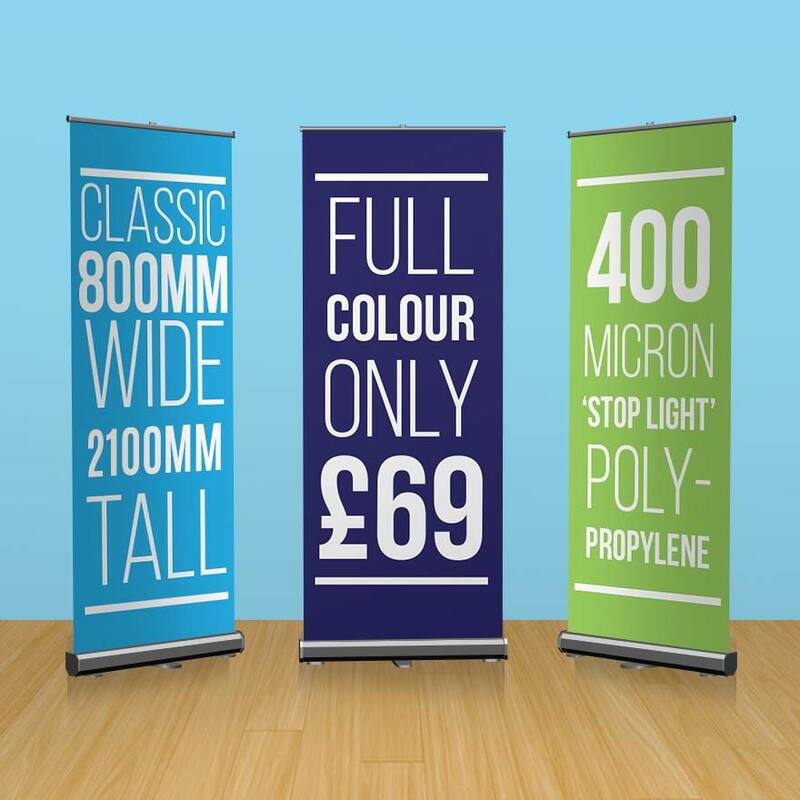 All our roller banners are printed onto 400gsm anti-scuff, SoFlat, Grey Backed Light Stop PVC material, which means that they are robust, will not curl at the edges and will stop any light from shining through. 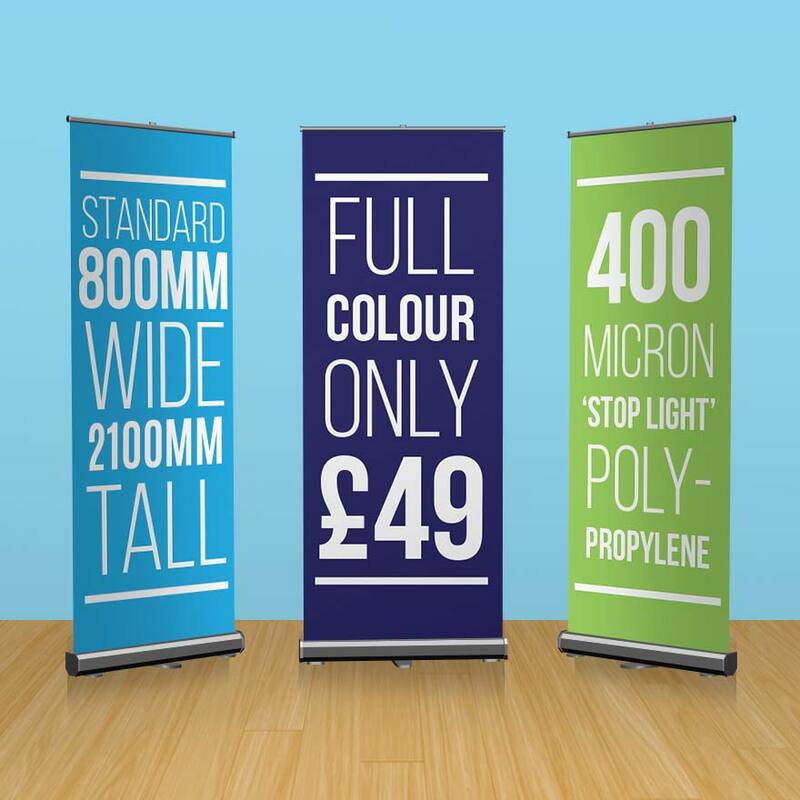 Our Standard banner is ideal for short term promotions and one off internal displays. Most commonly used in retail outlets for monthly promotions, you can get the message across with this professional stand. Although you can buy a cheaper roller banner you cannot get one that is better value for money. 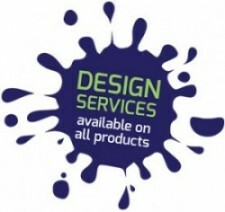 The cheap or budget banners are usually made of thin PVC that is liable to curl at the edges. Ours are printed on a material that will remain flat and show your image at its best. Suitable for moderate use or continuous display. Our Premium roller banners have a robust mechanism that is designed for heavy usage, so if you do a lot of exhibitions or presentations, this one is for you!